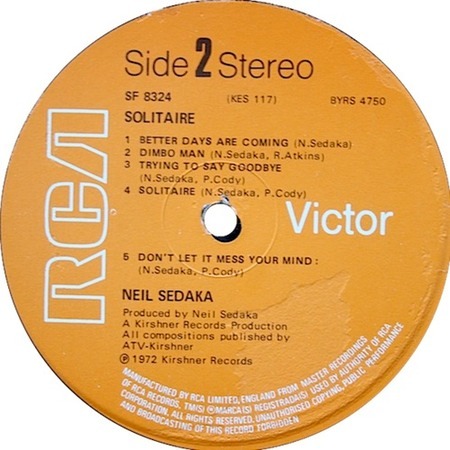 The original version of "Solitaite" appeared on a Neil Sedaka LP by that name that was ony released in Britain on RCA SF 8324. The first single release was by Andy Williams in 1973. "Solitaire" was one of the earliest collaborations between lyricist Phil Cody and Neil Sedaka, who provided the music. According to Sedaka, he was inspired by his classical training and used his studies of Chopin as a guide to setting up the tune, but was also influenced by the music of Roberta Flack and Harry Nilsson.